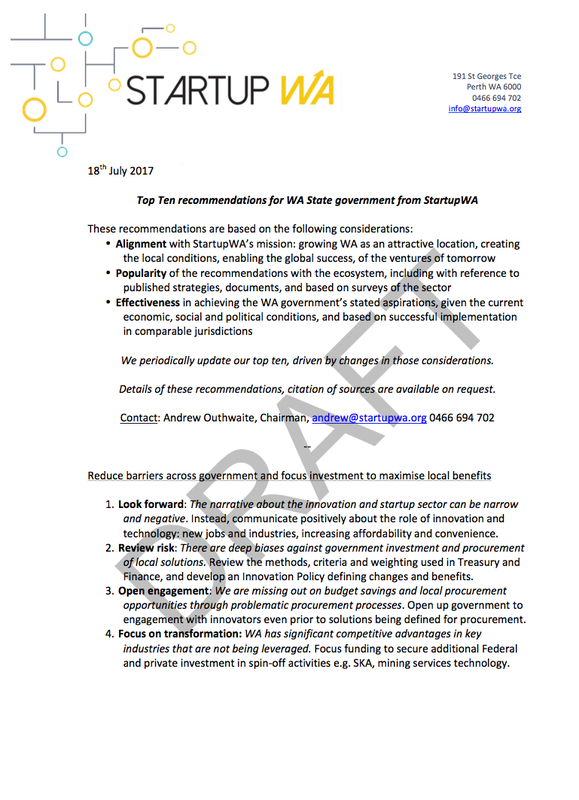 StartupWA is committed to sourcing and sharing information on the growing startup ecosystem in Western Australia. Below is a collection of our reports, ministerial briefs and more. Sign up via the form on our contact page to receive StartupWA latest news and updates.